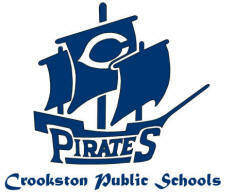 Do you have photos, historical accounts or other items pertaining to the Crookston area? Would you like to share this historical information with the world? LakesnWoods.com would like to publish your Crookston photos (current or historical) or historical accounts on this website. Original materials can be returned and your privacy will be respected. 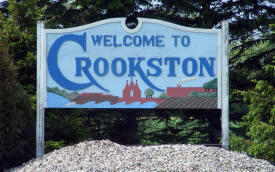 Crookston sits in the fertile Red River Valley. The Valley was once a part of glacial Lake Agassiz. As Lake Agassiz receded, it left behind rich mineral deposits. This made the area around Crookston prime for agricultural uses. Grains like wheat and other crops like sugar beets and potatoes grow well in the immediate area around Crookston. Crookston has a relatively flat landscape. The Red Lake River flows through the city and makes several twists and turns (oxbows). Crookston has experienced some erosion of the riverbank lately. U.S. Highway 2, U.S. Highway 75, Minnesota Highway 102, and Minnesota Highway 9 are four of the main routes in the community. According to the United States Census Bureau, the city has a total area of 5.15 square miles (13.34 km2), all of it land. The elevation is 876 feet (267 m). As of the census of 2010, there were 7,891 people, 3,109 households, and 1,743 families residing in the city. The population density was 1,532.2 inhabitants per square mile (591.6/km2). There were 3,303 housing units at an average density of 641.4 per square mile (247.6/km2). The racial makeup of the city was 90.2% White, 1.4% African American, 1.7% Native American, 1.6% Asian, 2.8% from other races, and 2.3% from two or more races. Hispanic or Latino of any race were 11.0% of the population. There were 3,109 households of which 28.5% had children under the age of 18 living with them, 40.3% were married couples living together, 11.1% had a female householder with no husband present, 4.7% had a male householder with no wife present, and 43.9% were non-families. 36.7% of all households were made up of individuals and 13.3% had someone living alone who was 65 years of age or older. The average household size was 2.27 and the average family size was 2.97. 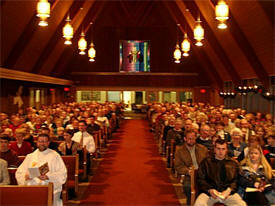 The median age in the city was 35.1 years. 22.3% of residents were under the age of 18; 16.7% were between the ages of 18 and 24; 20.5% were from 25 to 44; 25% were from 45 to 64; and 15.5% were 65 years of age or older. The gender makeup of the city was 49.4% male and 50.6% female. The area in which Crookston is located was virtually unoccupied during pre-European contact and remained little more than a hunting ground associated with the Pembina settlements until the 1860s. 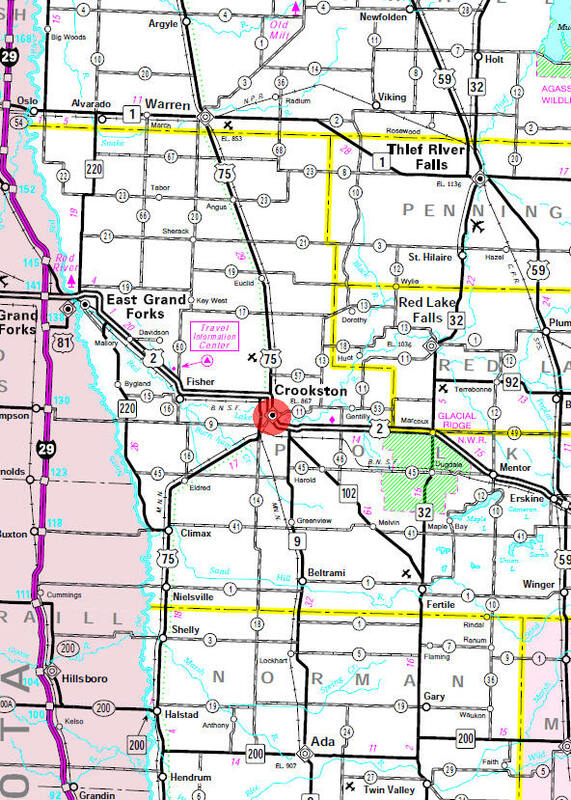 The land in the immediate vicinity of Crookston is not connected with any verifiable Native American or European historic events or circumstances until transfer in the "Treaty of Old Crossing" of 1863 and the "Treaty of Old Crossing" of 1864. Prior to that time, the territory now included in Crookston was technically a part of Rupert's Land and Assiniboia before becoming part of British Canada as a result of the boundary settlement in the Treaty of 1818. 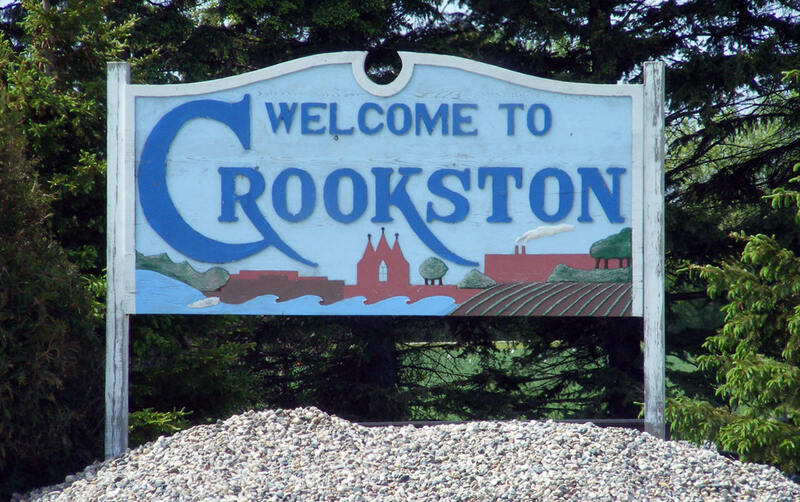 The area in which Crookston is located was likely traversed by trappers and traders including Ojibwa (or Chippewa) and Sioux Indians, Metis, and other mixed-race people as well as white men incidental to the fur trade between 1790 and 1870. The present day site of Crookston first saw settlement by non-Indian people around 1872. It was the site of a federal land office by 1876 and sited on a portion of the Great Northern Railway which began operations prior to 1880. The town was incorporated on April 1, 1879 as "Queen City." By the end of that year, the town boasted a jail, graded streets, and a few plank sidewalks. Soon, it was decided that the town needed a new name. Two factions emerged that supported two different names. One group wished to honor the town's first mayor, Captain Ellerey C. Davis, by renaming "Queen City" to "Davis." Another group picked the name "Crookston" to honor Colonel William Crooks, a soldier and railroad builder. The present day name was reportedly chosen by means of a coin toss. Soon, immigrants from Scandinavia and Germany begin populating Crookston. At one point, eight different railroad lines reached Crookston and the town became a center of commerce and manufacturing. 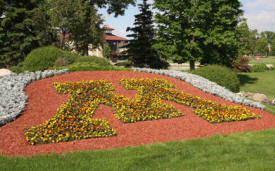 Today, Crookston is the site of the University of Minnesota Crookston which began as an agricultural high school and college and has since become a four-year institution with a full college curriculum. The city has not seen a major period of population growth for quite some time and the economy has suffered from increased competition from nearby Grand Forks, North Dakota. Typical of many small towns across America, many buildings in the historic downtown area of Crookston have been abandoned as local stores have closed. CROOKSTON, the county seat, first settled in 1872, incorporated as a city February 14, 1879, was named in honor of Col. William Crooks of St. Paul, who was the chief engineer in locating the first railroad here, then known as the St. Paul and Pacific Railroad, which was constructed in 1872 from Glyndon through Crookston to the Snake River at the site of Warren in Marshall County. He was born in New York City, June 20, 1832; was graduated from the department of civil engineering at West Point Military Academy; settled in St. Paul in 1857 as engineer for this railroad; served as colonel of the Sixth Minnesota Regiment in the Civil War; was a representative in the state legislature, 1875-77, and a state senator, 1881; died in Portland, Ore., December 17, 1907. The first locomotive used in Minnesota, in 1862, was named William Crooks in his honor. His father, Ramsay Crooks, who was born in Greenock, Scotland, January 2, 1787, and died in New York City, June 6, 1859, was probably also intentionally honored by the adoption of this name. As a member, and subsequently president, of the American Fur Company, he was well known throughout the Northwest. During many years he was identified with the fur trade in Minnesota and had great influence with the Indians. The third weekend of August, Crookston celebrates its heritage with the Ox Cart Days Festival held in the city's Central Park. The four-day celebration includes something for everyone, from bed races to pageants and parades. 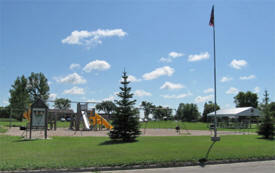 Located at the former Carman School site, it has 3 acres of park land with soccer fields, picnic shelter, and an extensive playground area. The complex includes 40 acres with one baseball field, six softball diamonds, five tennis courts, horseshoe courts, playground equipment, basketball court, and a concession/restroom building. 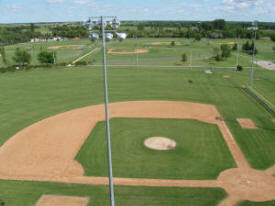 The park is home to a number of softball, tennis and baseball tournaments, playground equipment, skate park as well as providing home fields to men's and women's softball leagues, boy's and girl's softball and baseball, American Legion baseball, Babe Ruth baseball, amateur baseball and girl's fast-pitch softball. The tennis complex is home to youth and adult lessons and recreational tennis. Lights are available for a fee. 25-bed critical access hospital, a nursing home, home health agency and several primary and specialty clinics, as well as chemical dependency services. RiverView Health is the community of Crookston's largest employer and offers emergency services with 24/7 in-house physician coverage, obstetrics, pediatrics, and many diagnostic and rehabilitation services. The University of Minnesota, Crookston is a growing community that thrives on watching our students succeed. With personal attention, support services and hands-on learning, we provide a quality education and a recognized University of Minnesota degree. And student-athletes compete at the NCAA Division II level. Americas Best Value Inn, the only full-service hotel in Crookston with 72 sleeping rooms featuring king or queen-size beds, an extra large pool area with hot tub and games. Fire-side chats in our lobby and newly renovated rooms add to the cozy feeling. High Speed Wireless Internet! 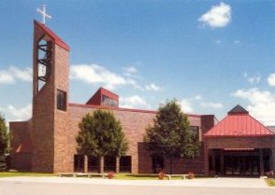 Built in 1997-- newest lodging facility in Crookston! Fifty rooms including, large indoor pool & spa, fireside conversation area in lobby with library, guest laundry facility, and deluxe continental breakfast. 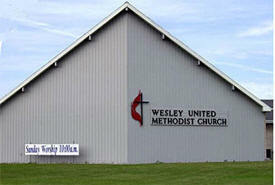 Now offering FREE WIRELESS HIGH SPEED INTERNET! Under new ownership, completely refurbished with restaurants and shopping nearby. No smoking rooms available. Pets are welcome. 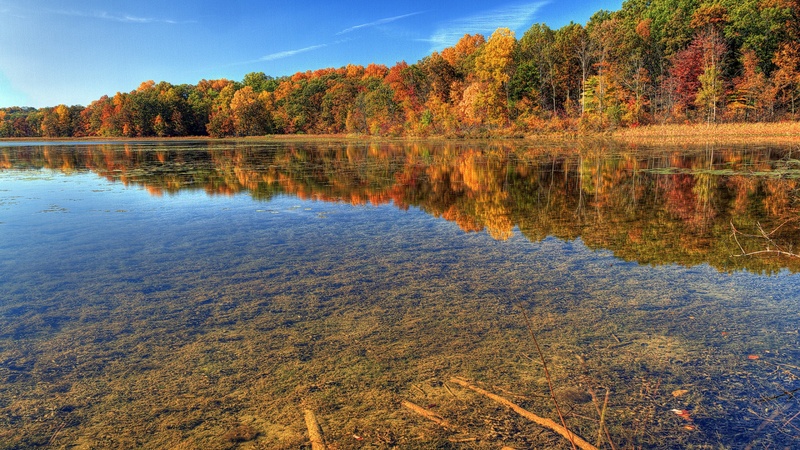 The Parks and Recreation Department also has a beautiful 16 site campground that opens in May and closes at the end of September located in Central Park along the scenic Red Lake River. Free WIFI is available to campers, please contact the park ranger or city hall for access. The Central Park Campground is located within easy walking distance to the indoor community pool, downtown shopping, and the historic Grand Theatre. 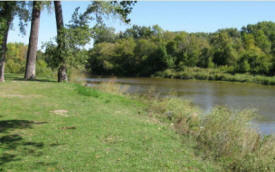 The campground is just off of State Highway #2 as it crosses the Red Lake River. No advanced reservations are required. Boat landing, bath house, water and electric hook-ups are available.